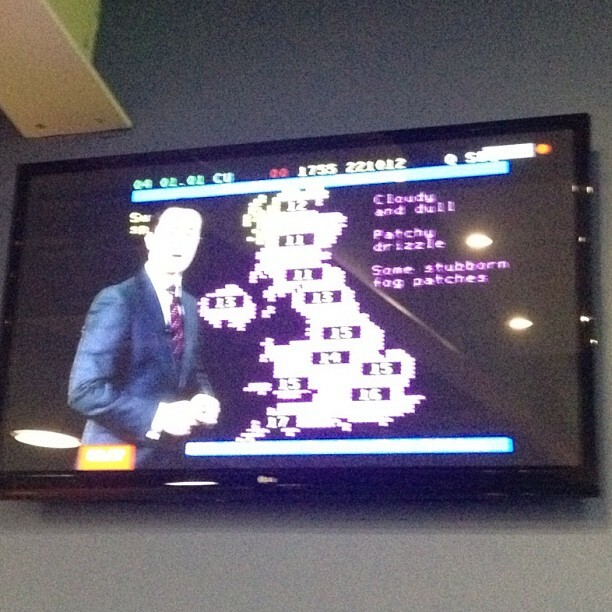 1980s, 1987, Ceefax, teletext, uk. #pixelart Engineering, BBC2 Ceefax, 1987. Note the alpha black test… apparently it’s quite a rare thing. 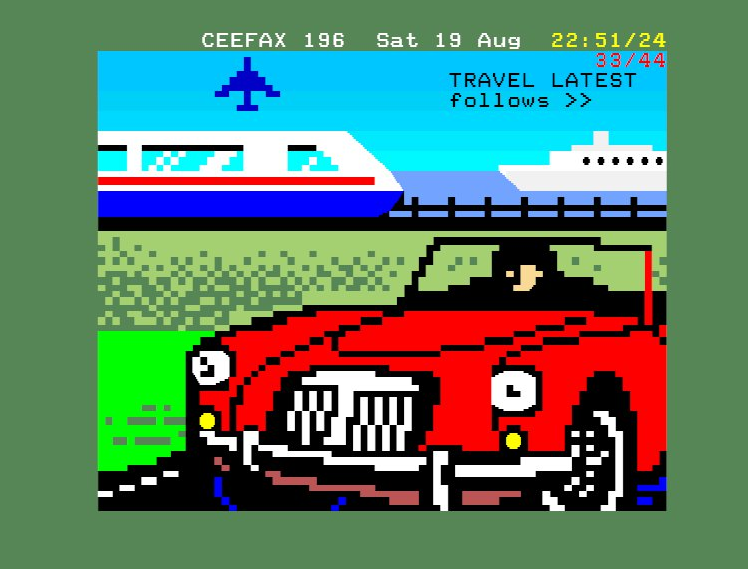 1980, 1980s, Ceefax, teletext, uk. 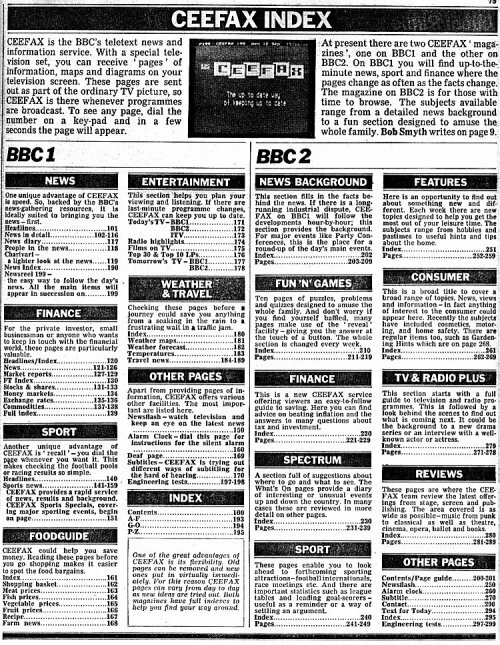 BBC’s CEEFAX service, as detailed by the index printed in the Radio Times, 2-8 February 1980. Via. 2010s, animation, Ceefax, ceephax acid crew, teletext. 1970s, 1977, advertising, Ceefax, teletext, uk. Ceefax press release dating from 1977 charts the first three years of the world’s first ever teletext service, via. 1980s, 1982, Ceefax, oracle, prestel, print, teletext, uk, viewdata. 1980s, bbc, Ceefax, telesoftware, teletext. 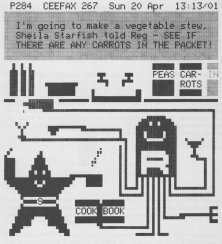 Telesoftware – downloaded from teletext to your own computer. BBC regularly offered new software for a couple of years, up until 1989. 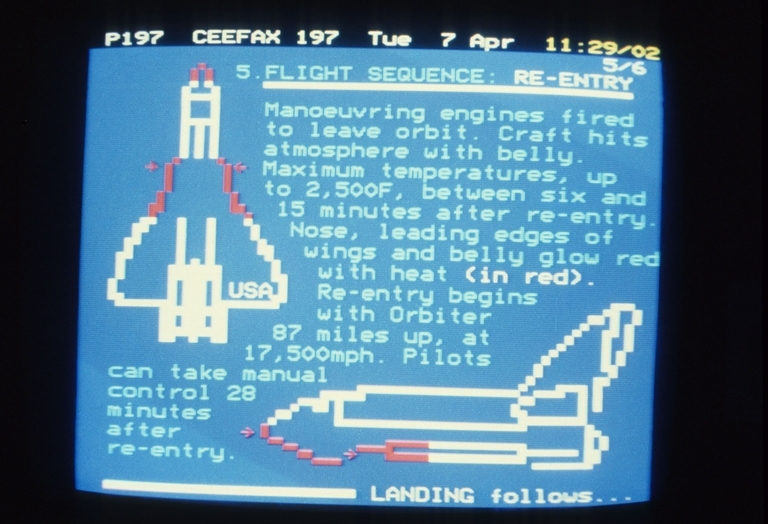 Ceefax : Colombia Space Shuttle Launch 1981, via Paul Sissons.